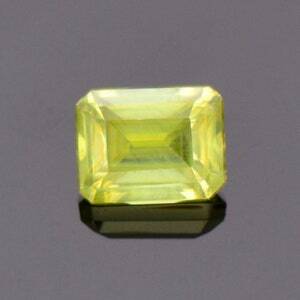 Size: 10.47 x 7.65 mm. 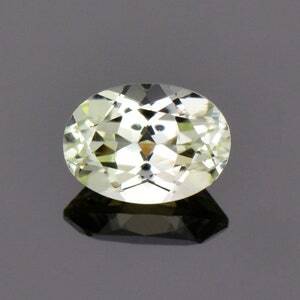 The best facet grade Aragonite comes from the Czech Republic and it is stunning material. 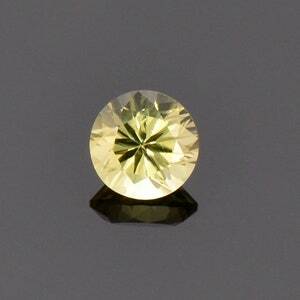 Aragonite is not a fun material to facet but certainly makes excellent gems when cut appropriately. 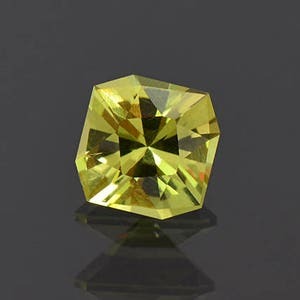 This stone is faceted very well with an excellent polish. 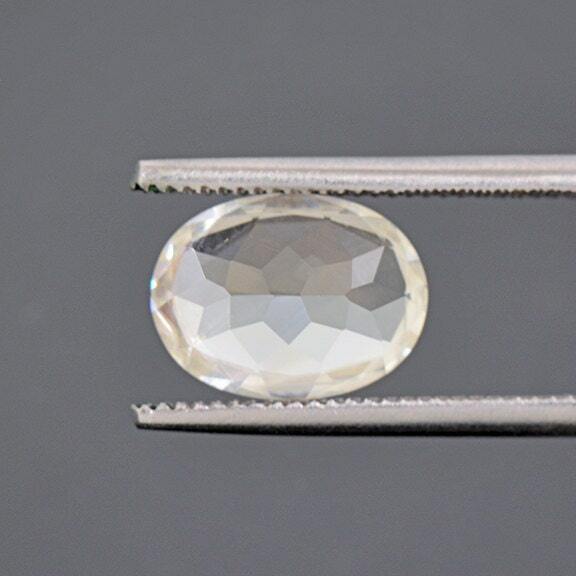 You can see the strong birefringence easily, and it gives that facet doubling effect. 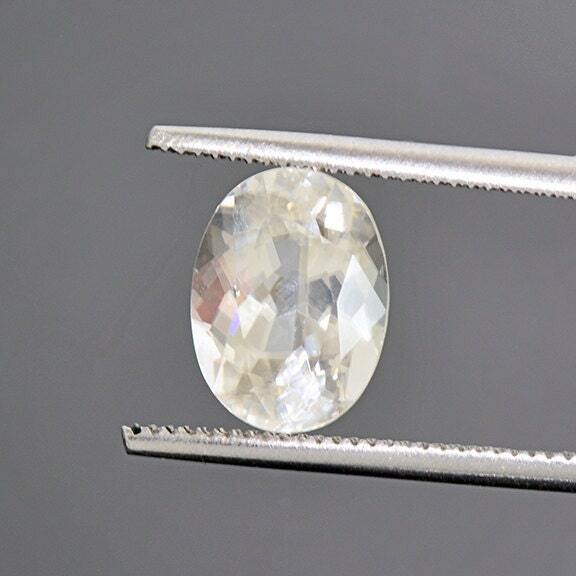 Aragonite gemstones are difficult to obtain anywhere on the market and certainly in this type of quality. 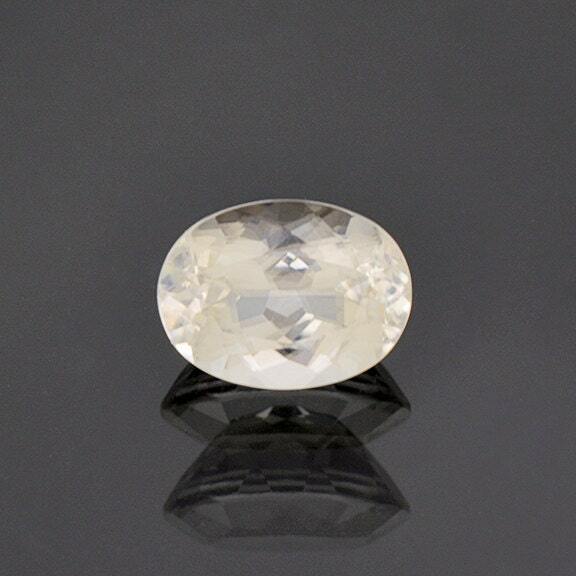 The clarity of this stone is hardly to be believed because Aragonite rarely comes this clean. Enjoy!